This badge was issued to Susan DuPont on 22 Jan 2018. Earners of this credential have demonstrated advanced critical thinking and high level of knowledge in providing emergency care to patients and their families. Earners can use the knowledge to assess, analyze, intervene and evaluate ill or injured patients in the emergency setting. 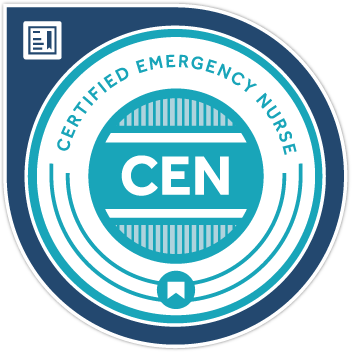 CEN is accredited by the Accreditation Board for Specialty Nursing Certification (ABSNC) and included on the ANCC Magnet Recognition Program® list.